I have a problem with my Sanguinololu 1.3a based printer. It seems to not take power from the power supply for some reason. It takes power from usb just fine and everything lights up but as soon as I plug in the power supply everything goes dark and nothing works. I wanted to reroute the power to make it go through wires instead of the board pathways (I suspect conductivity problems on the board), but I have no clue how to do that correctly and which pins to connect with each other. Does anyone have any idea what might be the cause of the problem, or have any other ideas how I can fix this? Power supply is working correctly. Probably it's just the LM7805 regulator that needs to be replaced. Note that the Sanguinololu is known to have issues related to the 5V input when both USB and 12V are connected, see here. 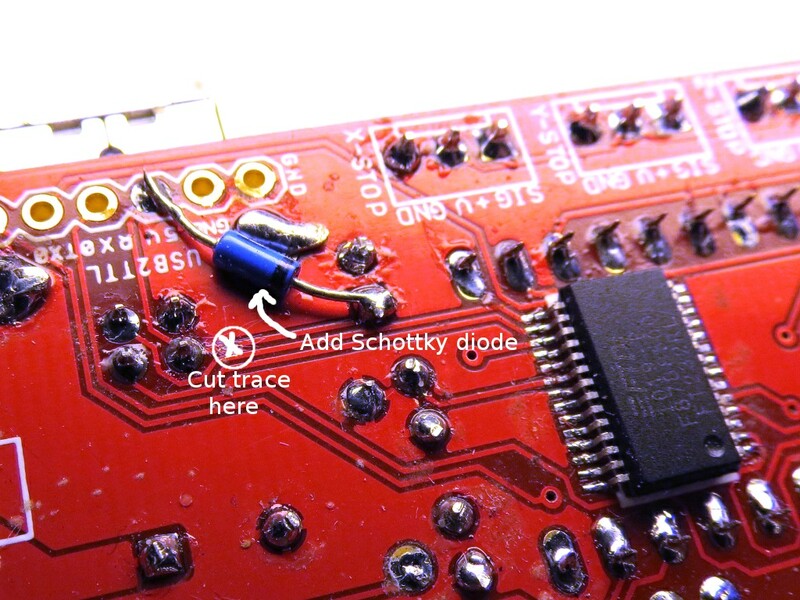 I have added 2 Schottky diodes to resolve the problem, as explained here. Thank you for your answer. To be fair I am completely unexperienced when it comes to such electronics so it's pretty difficult for me to repair. I will try to check if my mosfets work and will update soon. Of course what I meant in the beginning is that the board doesn't take the power from the AC no matter the fact USB is connected or not. From your description I assumed the problem is with the 5V, so I don't see what the MOSFETs have to do with it. Do you have 5V on the 5V pin when only 12V input is connected? Do you mean this pin? There is nothing there. Now something strange happened, when I was trying to check the voltage on the pins the board came to live when the switch is on the off position... I have no idea what happened. Yes, that one too should have 5V. But it's much easier to access the "5V" pin on the very lower left corner in your picture, or also the "5V" pin on the EXT header, 2 positions to the left of your arrow. Which switch are you refering to? The 12V power supply switch? If the USB was connected, this might again be related to a faulty LM7805 or to the 5V bug mentioned in the wiki. Ok so let me clear some things. So again nothing works as in the beginning. I thought mosfet was the same as the regulator You mentioned, which is obviously stupid. Consider I have at all times the USB cable disconnected. My 12V power supply has a light, when its just connected to the socket it glows orange, when I flip the switch in between power supply and the board (with board disconnected) it glows green and the cables give 12V (tested with multimeter). When I connect the 12V power supply to the board and than flip the switch, the light on the 12V supply disappears instead of turning green and all connections have 0V. Every time this happens I quickly disconnect power supply in case something is very wrong. Tomorrow I should be able to get new regulator and I will see if that's the problem. And thank You so much for you help so far! I managed to check the regulator and it has 0V output with 12V input so it is somehow broken. I will try to get new one tomorrow and see if that will resolve the problem! Edited 2 time(s). Last edit at 10/05/2016 05:23PM by Ebdac. If the light on your 12V goes out, it means that you probably have a short somwhere, so that the over-current protection of the PS switches the PS off. Have you measured the resistance between 12V and GND on the Sanguinololu board? I have had 2 Sanguinololu boards which were not well etched and had some copper traces shorting between 12V and GND. Once I found them and cut them with a sharp knife, everything worked well. 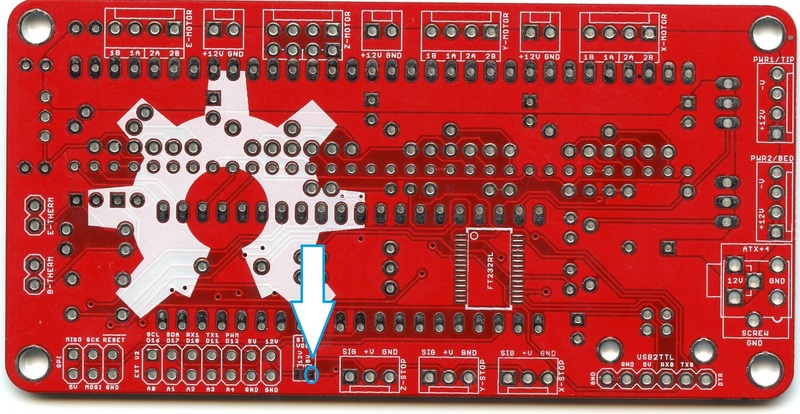 It is also possible to have a short from bad soldering of the pins. I suggest that you take a magnifier glass and inspect your Sanguinololu carefully. 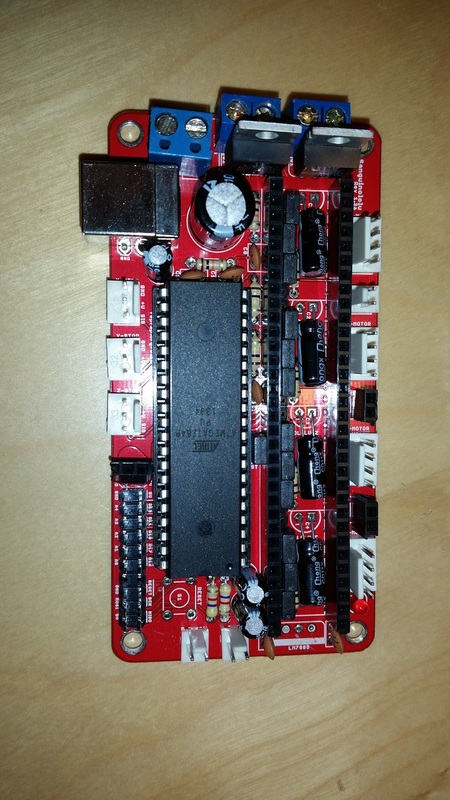 Have you tested the 7805 while on the board or after desoldering it? When you desolder it, you will also find out if it was causing the short or not. My lack of knowledge is making this so hard to fix... My printer was working for over a year until this happened so I don't think that board fault would come up after so much time? I have bought 2 new regulators but I'm suspecting I bought wrong ones... I bought LM7805CT and they don't work for me for some reason, are they wrong? Resistance between 12V and GND on my board is 0.9MOhms and when I am testing for circuit continuity it doesn't show anything (as if there was no closed circuit), I am not sure if that should be so. 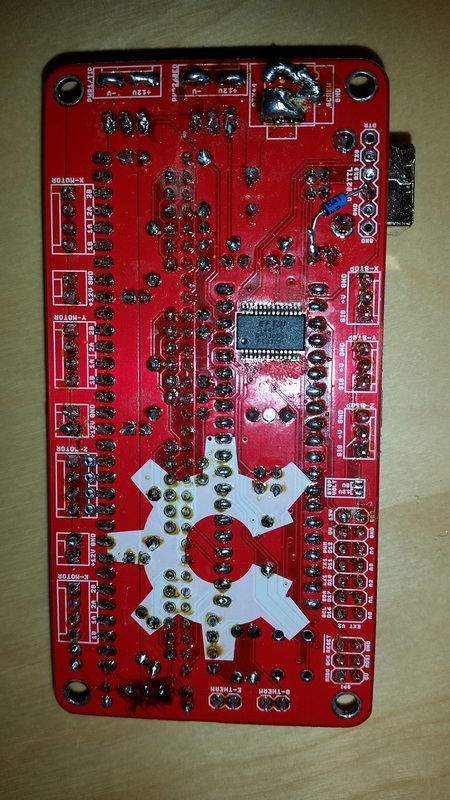 When testing desoldered 7805, it shows closed circuit on two pins (middle and right), so it appears to be shorted. With desoldered 7805 it still shuts off my PS so there is another short somewhere? Or is it the lack of 7805 doing? No, if your board was working okay before, then I don't think either that it's a faulty PCB. Have you tried removing all stepper drivers, the heatbed and the hotend. Is there still a short? If not, reconnect one by one (always turn off the PS when connecting/disconnecting something) until you find the culprit. The lack of 7805 will definitely not cause a short. The light on the board didn't turn on. I attached photos of my board. I see that you added the Schottky diode at the USB input, but from the photo it looks as if you did not cut the trace, so that the diode would be useless. Do you still get the hissing sound when you remove the ATmega1284? I have not before, but when turning it on with USB connected there is no hissing but the PS turns off again. And yes, with ATmega removed, the hissing is still there. Edited 1 time(s). Last edit at 10/09/2016 01:40PM by Ebdac. There is only one trace marked in the picture, and yes you should cut it with a sharp knife. Could it be that the 1000uF or one the 100uF capacitors became defective? Edited 1 time(s). Last edit at 10/10/2016 10:57AM by Ebdac. If you did unsolder them, did you then try if the 12V power supply still switches of when connecting it with USB connected? Other question: Are you sure that your power supply is not the problem? I removed capacitors now and they seem to work. When all capacitors were desoldered it still shuts off the PS. You know after all this I am not sure of anything right now... I will take another PS apart and test it because this is getting ridiculous. I got defeated, I resign I have lost my patience and I need to buy a new sanguinololu. I am sorry to disappoint and thank you so much for everything you tried to do to help.